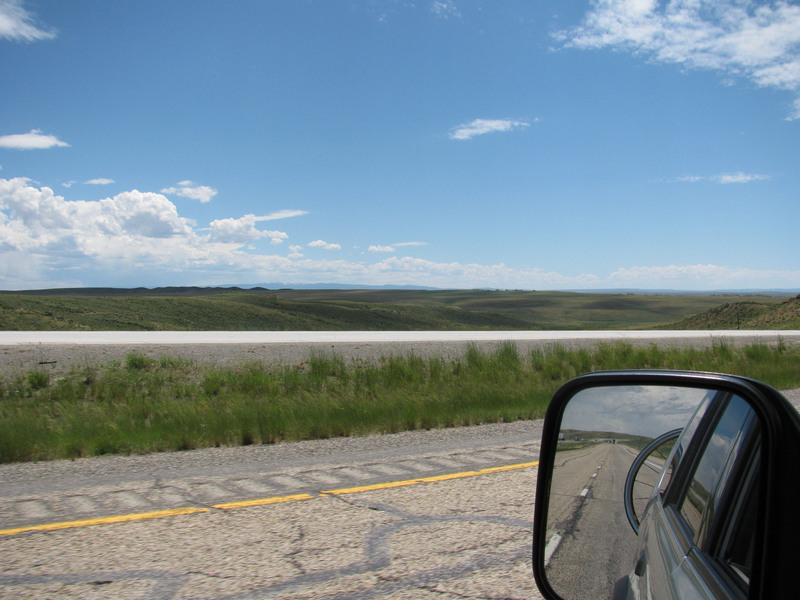 The terrain of I-80, which runs east and west, just above the southern border of Wyoming, is constantly shifting. This is not the subtle kinds of change that I mentioned when I was writing about the Shawnee National Grasslands. These are dramatic changes that seem to represent jumps from one region of the country to another. You are in the grasslands of Colorado, then the deserts of New Mexico, then the pastures of Montana. Sometimes, the scenery on one side of the road is jarringly unlike the scenery on the right side of the road. On the left side, grasslands are in the foreground, a snow capped mountain in the distance. 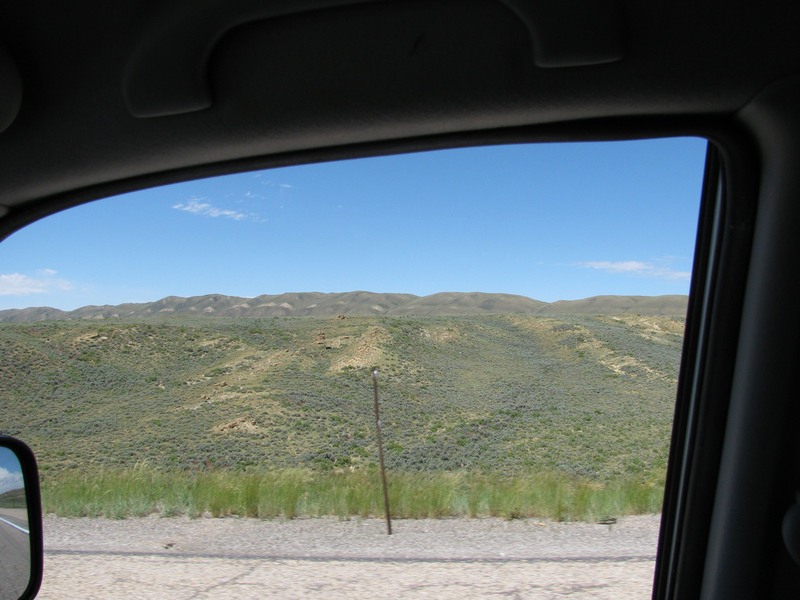 On the right side, is a hill in a semi-arid landscape. The images are not just radically distinct, they seem inverted. The drier landscare would be, you would think, on the southern side of the road.